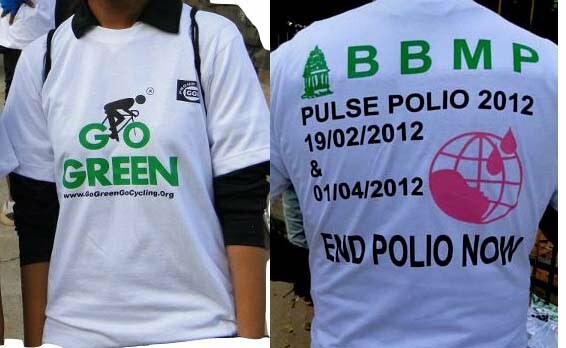 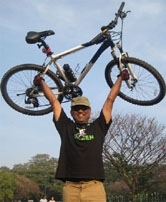 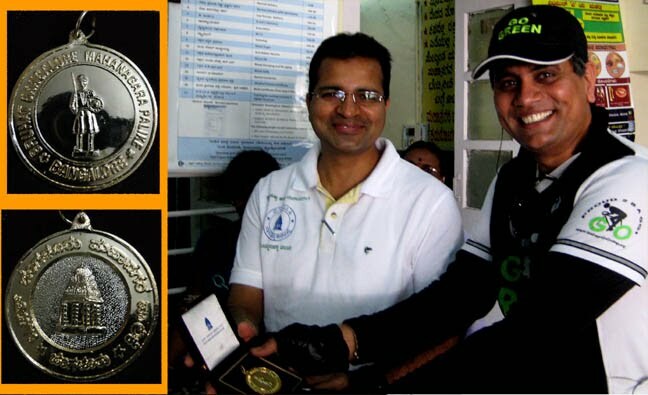 GoGreen's & BBMP Polio Awareness Campaign Ride on 12Feb2012 - GGI-Group size: 4000+ Professionals, Increasing on day to day basis, Come & join us 2 serve Mother Nature. 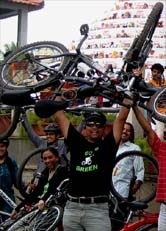 Madhavan Park- Sounthend Circle-Nagasandra Circle - DVG Road - Gandhi Bazar - Ramakrishna Ashram - Uma Theater Circle - TR Mills Chamrajpet- Mysore Road - KR Market - Town Hall - Lalbagh Road - Uarvasi Theater - Lalbagh Main Gate - Lalbagh West gate - Ashoka Pillar - Madhavan Park. 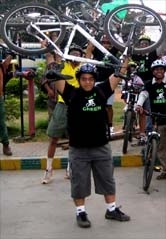 Event T-Shirts given out to GoGreen Team..